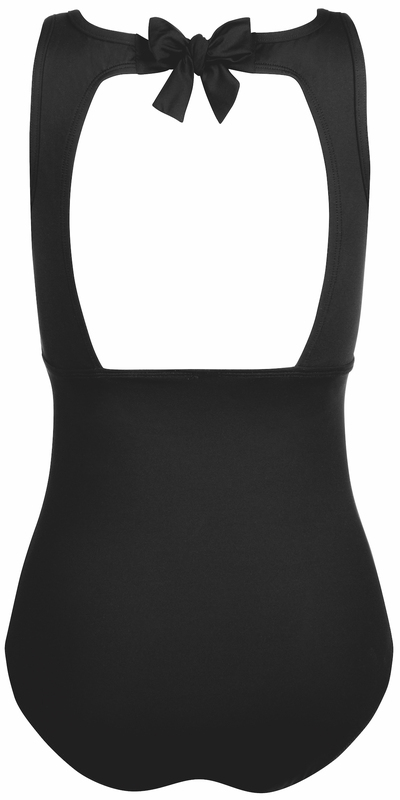 A beauty in classic black, the Argentina One Piece swimsuit also gives you peace of mind if you have any scars or burns after your breast cancer treatment. With a higher neckline in a beautiful crochet-like design, your torso is long and lean and you’re covered, without being, you know, too covered. Amoena pocketed bra cups can still hold your swim form securely in place, and like all our swimwear, the cut under the arms and at the hips of this one-piece Argentina swimsuit is not too high, not too low, but just right. With performance fabrics that feature UV protection for the swimsuit and high chlorine resistance, this swimsuit will last. It is elegance in every circumstance.